What must I purchase or own to purchase Directory Panel? Customer must be using the Azure Marketplace Software as a Service version of Identity Panel hosted by SoftwareIDM on Azure on an instance in the United States of United Kingdom (other locations coming). Customer must have and maintain a paid subscription to the Knowledge Package for Identity Panel, and must meet its prerequisites. 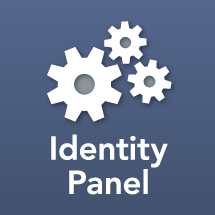 A description of SOS for Identity Panel Azure Marketplace Edition can be found here. Pricing for SOS can be found here.